If you're a wire wrapper or a wire jewelry enthusiast looking to develop your wire art jewelry skills, I've got just the book for you. 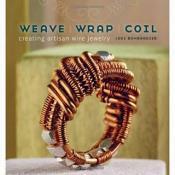 Jodi Bombadier's new book, Weave, Wrap, Coil, Creating Artisan Jewelry, can catapult usual wire wrapped jewelry into the truly elegant piece of jewelry. Jodi will not only teach you her elegant and sophisticated style of wire wrapping but, a lovely bonus, she'll also teach you to weave wire. 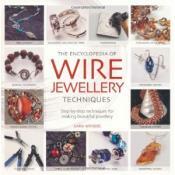 The Encyclopedia of Wire Jewellery Techniques is a good solid beginner's book for anyone wanting to learn the variety of wire wrapping techniques that abound. As I've said before, wire wrapping has taken market share in the past several years due, at least in part, to the fact that it's an easy entry point for anyone wanting to learn how to make jewelry with wire.